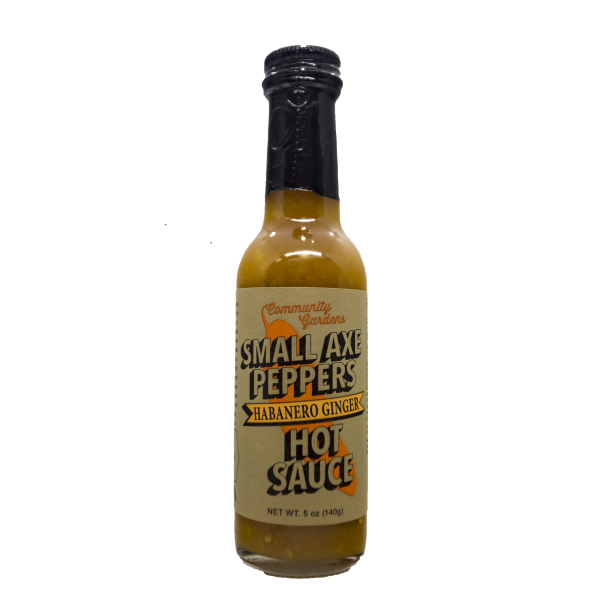 Small Axe Peppers Habanero Ginger Hot Sauce is made with peppers are sourced from community gardens and urban farms in cities across the United States. 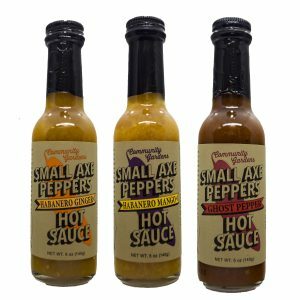 San Diego, Tucson, Phoenix, Salt Lake City, Sacramento, Charlottesville, and many more have all sold peppers at premium prices to Small Axe Peppers Hot Sauce. This habanero-based sauce, with a forward ginger flavor, is our take on Caribbean hot sauce! 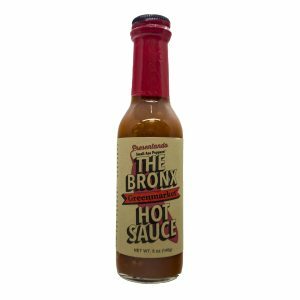 This delicious hot sauce pairs perfectly with everything, but especially chicken breast and pork loin! 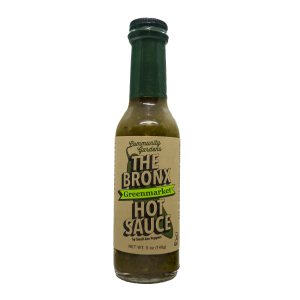 This stuff is so good on my breakfast. HIGHLY recommend for eggs and damn near anything else. Wish they made a hotter one lol. Awesome sauce! Great, great flavor and mild heat. 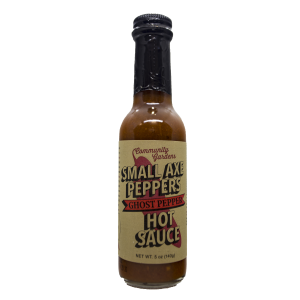 You can put as much as you like on your food and not get burned (in my palate anyway!). 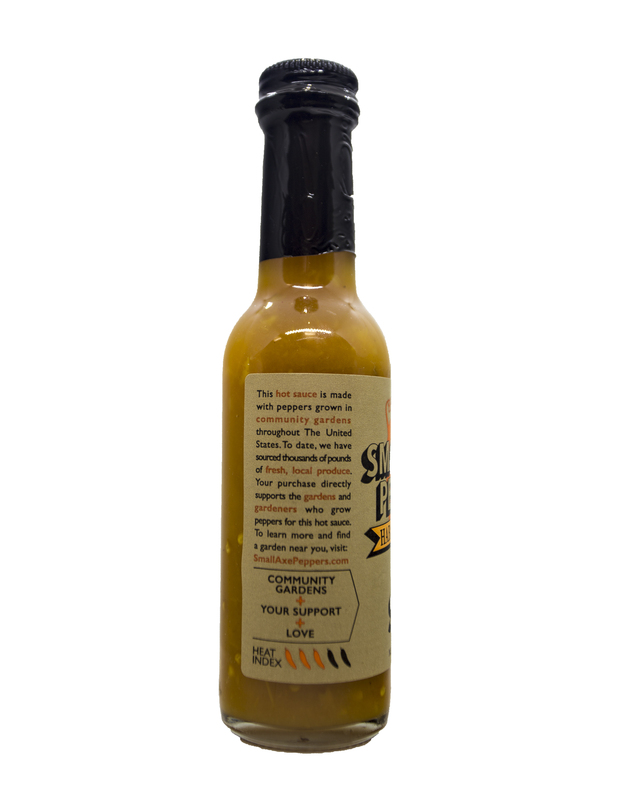 Fantastic Flavor and not too spicy. They should sell it in a gallon size bottle. 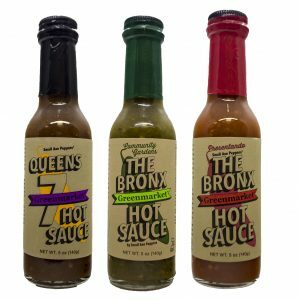 What a great sauce. 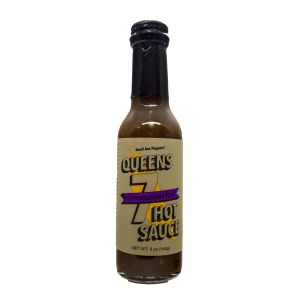 I admittedly tried because it’s a new sauce on Hot Ones, but was completely blown away by how awesome this sauce is. 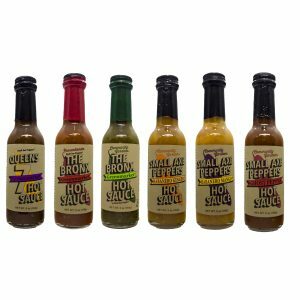 Perfect blend that will bring great flavor and a nice enjoyable amount of heat.